Hope you are all doing well and are having a fabulous week so far! I am looking forward to a few days off work, i have so much going on right now i love escaping from reality and rambling on my blog. I have a super exciting post for you all today about one of London's leading Personal Styling Agencies - Style ME Training. Style Me is a London based personal styling Training Academy, looking to transform the lives of all types of women by providing the most comprehensive package of courses in order for them to start a successful and rewarding Personal Styling career. Style ME Training is run by industry experts Nisha and Mary Ann who teach every course themselves which are held at the London Fashion Retail Academy - and also Danielle who actually participated in the courses and now works hard on the Style Me Blog and offers her own services alongside Style ME Training. I have been chatting to both Mary Ann and Danielle about the agency and i think it is absolutely amazing and i think you all will too! Style ME ensure that no course is longer than 2 days as they want to make the courses accessible for those stylists-to-be who may be employed, new mums wanting to get back into the fashion industry but wanting to choose their own hours or even students. Within the market Style ME is the most reasonable and offers no course over £500 which i think is absolutely amazing! It makes you instantly feel that they are a passionate agency who are not after just your money as you are getting the exact same course that other agencies may charge up to £3000 for. They want to ensure that everyone is able to have the chance to train for their dream career and not have to jeopardise anything along the way. Upon finishing the courses you then have the opportunity to become a Style ME Stylist and have Nisha as your mentor who will ensure you have all the support and help you need to launch your new found career. As you can see Style ME offer a wide range of courses which will suit everyones needs. After taking part in the course you get a certified certificate of completion, which i thinks adds a special something. This is a one day course which is usually held weekly and once completed you are officially a trained Personal Shopper! You will be able to advise clients on what they personally need for a capsule wardrobe that is best suited for them. Style ME emphasis the fact that you are dressing for YOU and your shape NOW and will never give the intention to change anything about yourself... other than being the best version of yourself! On the course you will go to the shops and actually shop for a specific clients shape, you will then come back to the group and share your choices and really put yourself to the test based around the practical side of being a Personal Shopper. Ohh how exciting! 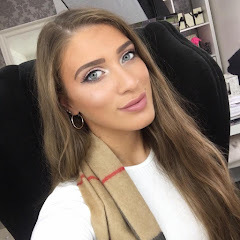 Like i said previously, Danielle took part in the courses and now works along side the Style ME team writing the blog and managing the social media side. So you should definitely go check her out also, she is so lovely and is always on hand to answer any questions you might have about the courses or about Style ME in general. So have you always wanted a career in fashion? 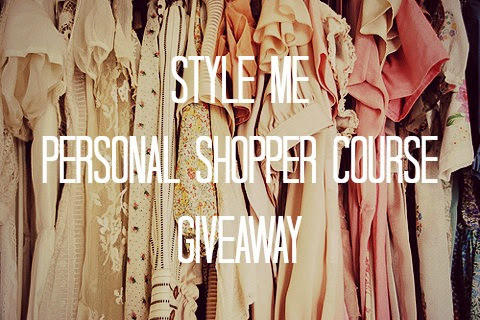 Style ME are offering one of my followers the opportunity to win the 'Train To Be A Personal Shopper' course and i will be coming along with you on the day so i am super excited! All you have to do to be in a chance of winning is follow the instruction in the Rafflecopter Widget below...the more you enter the better chance you have of winning! Rule: You MUST be following my Blog & STYLE ME to qualify for this giveaway! Hope you all enjoyed this post, i would love to know your thoughts about Style ME! You can get in contact with the Style Me team either by tweeting them or messaging them on their Facebook page! Alternatively you can go check out their website and blog...they are always posting inspirational posts, about the latest trends and how to dress for you body shape...it's a good'n and a regular read for me :D. Like always lovelies, if you have any questions, requests or if you just want a chat you can contact me on my social media or leave me a comment below. I love hearing from you and i make sure to read every single comment...they really make my day! This is such a good giveaway! Thank you sophia for the opportunity :) fingers crossed! Fingers crossed! great giveaway hun email is sophie.pocock1@gmail.com. what a fantastic opportunity, i'd absolutely love to win this experience! Amazing opportunity! I would jump at the chance! I love to see your reviews and this is a great giveaway!! More beauty reviews and possibly OOTD posts? I would love to see more style posts!